We all know that feeling. You go out and buy a beautiful new mascara, accidentally leave the top off, and soon as you know it, its dry and crusted over worse than your own crusty-crust lips. Most people try to remedy this by adding a bit of water or baby oil to the mascara but this changes the composition of the formula and just leaves it a watery mess. The best way that I have found to bring dried mascara back to life is my simply adding 2 to 3 drops of contact solution. 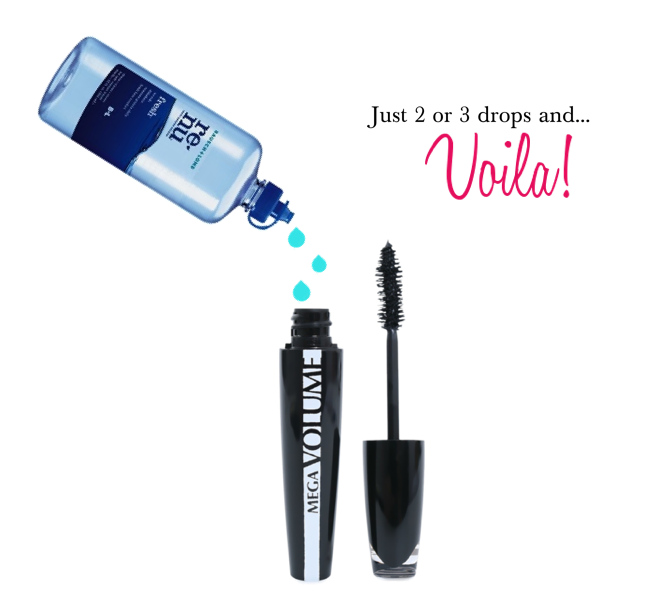 From there you simply pump the mascara wand a few times to mix the solution and presto! Mascara saved. Since I am not a contact wearer, I just bought a small travel-sized bottle from my local drugstore. While I do recommend this for any dried out mascara, I do not recommend that this method be used to revive mascaras that have been used longer than 3 months. To prevent bacteria and eye infections, it is best to throw out mascaras once used past that mark. Let me know if this works for you or if you have tried any other methods!